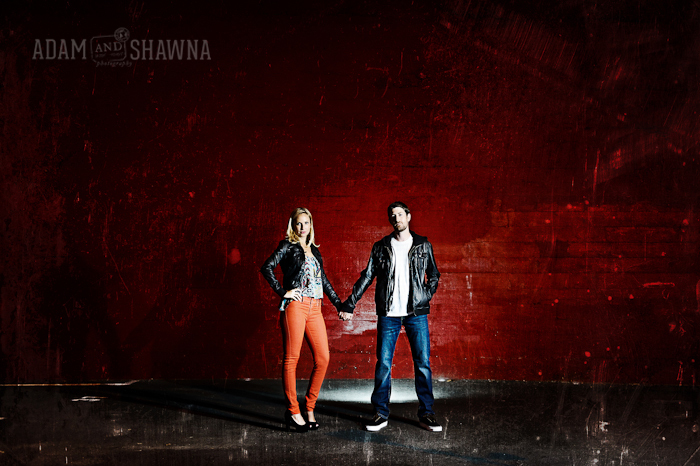 Shawna and I met Paul and Ashley via their friend Kyle who works in the office next to our studio. 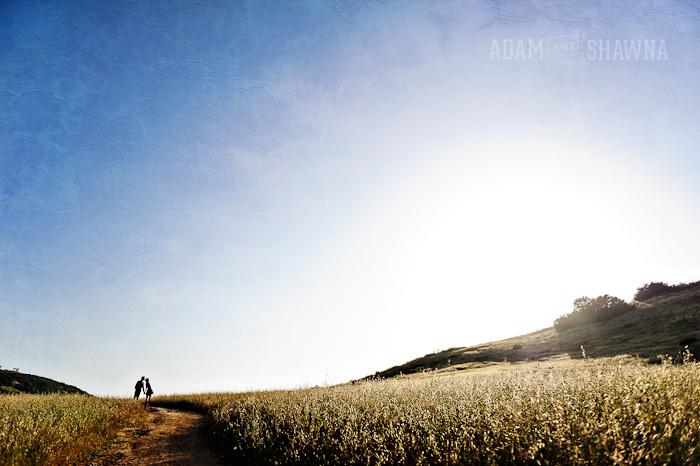 Kyle approached me one day and asked if I would be interested in shooting Paul’s proposal to Ashley at Sunset Cliffs in OB. Yes! I love shooting proposals and capturing that excitement and emotion. So we waited it out at the location Paul indicated he’d propose at. Shawna and I, with our big cameras in hand, did our best to avoid giving anything away (we’ve got plenty of experience with ninja-style photography). All I had was a picture of Paul to recognize him by. Then there they were. He did his thing, got down on one knee, and she was wonderfully surprised. She said yes and we finished off with some nice portraits of them. 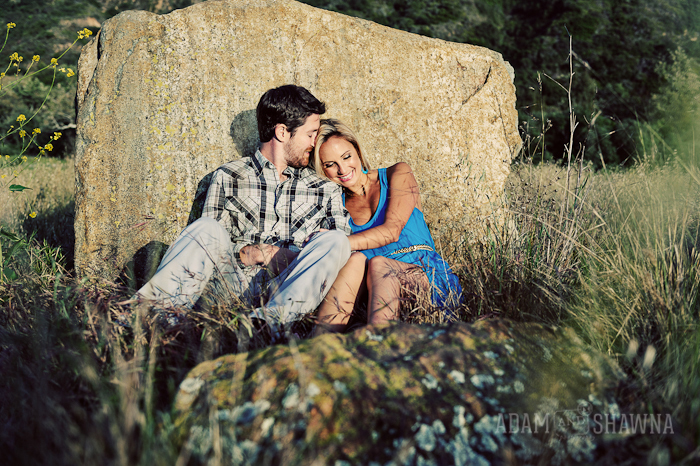 So about a month later Ashley contacted me about shooting their engagement pictures. I wanted a few looks for them so I chose to start out at Los Penaquitos preserve, a seemingly secret little oasis of preserved land near Carmel Creek. 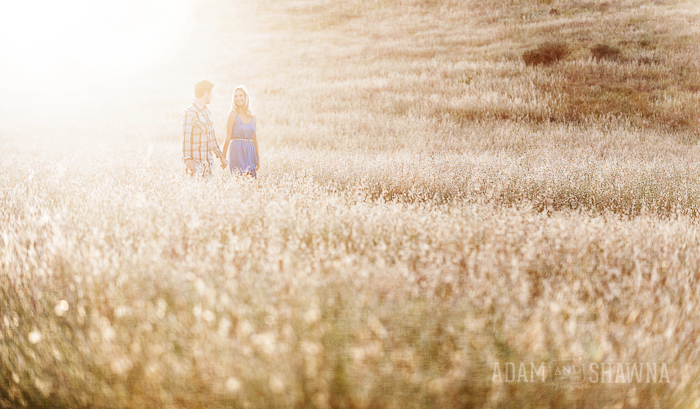 The light was beautiful and Paul and Ashley were unbelievably natural…and obviously in love. From there we went downtown for some grungy/urban-y shots. 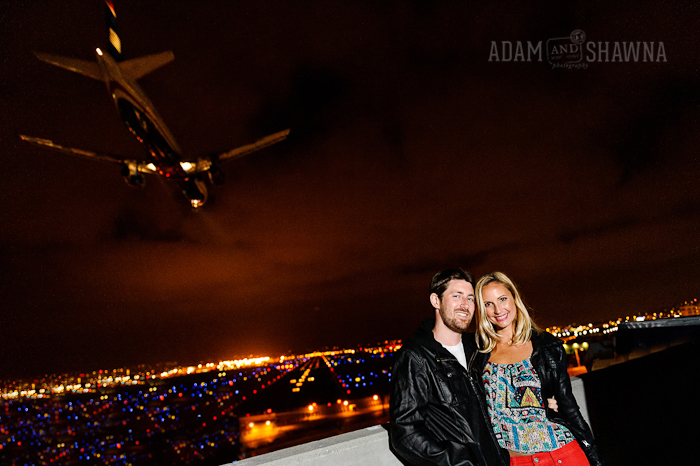 Finally, since their wedding is a destination wedding I thought it would be fun to capture a night-time shot with a plane flying overhead. 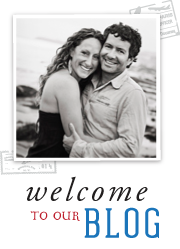 Paul and Ashley love to travel – they are excited to be going to Italy next Wednesday with their family. Paul has been to Italy before, and is excited to be the tour guide for the group. This will be Ashley’s first trip to Europe. They will be getting married next Spring in Cabo San Lucas, Mexico.